Celebrating the next composite color of MDPC-X: Red-Carbon cable sleeves! Red-Carbon cable sleeve is the combination of Italian-Red and Blackest-Black. This combination results in a very stylish dark red from a far viewing distance. At close viewing distance, the composite style dominates the optical result. 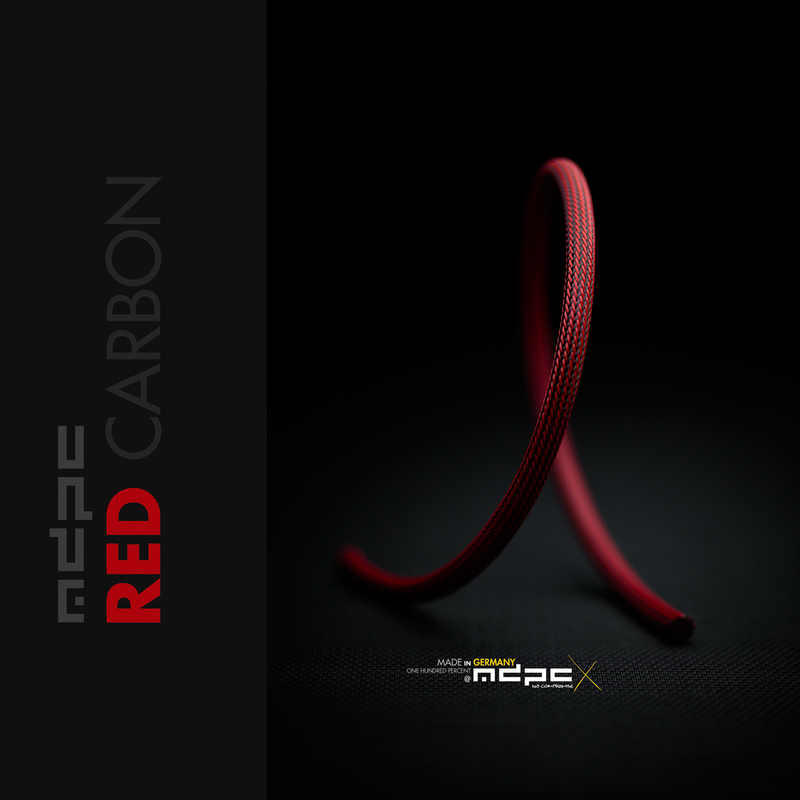 Enjoy the extreme technical elegance of Red-Carbon cable sleeves by MDPC-X. 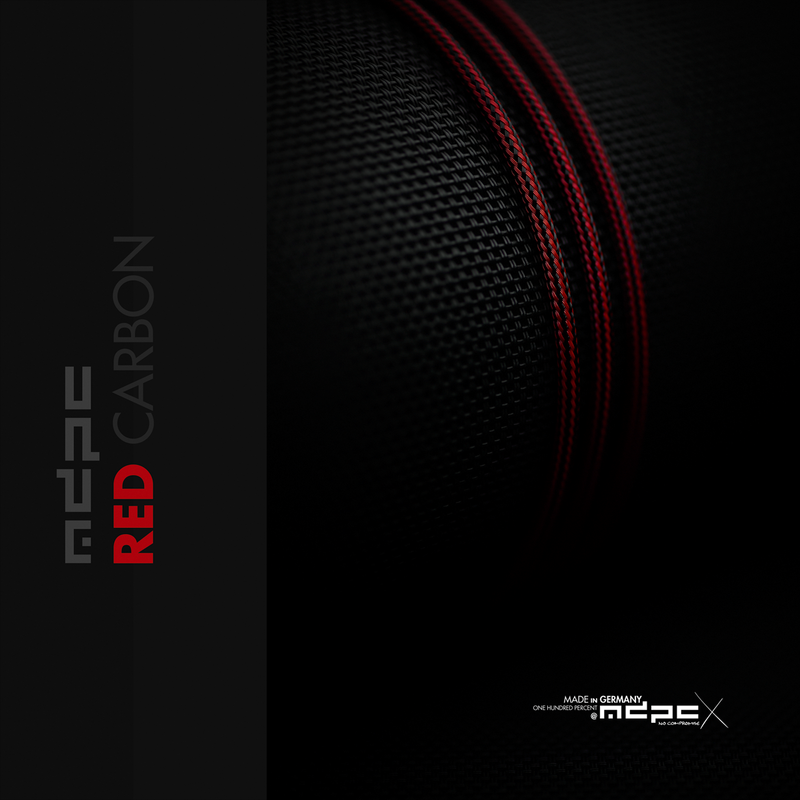 Get the new Red-Carbon cable sleeve by MDPC-X now! You can order Red-Carbon cable sleeves directly from us and of course you can also get MDPC-X Cable Sleeving products in even smaller quantities and directly in your continent / country through our global MDPC-X Stores. 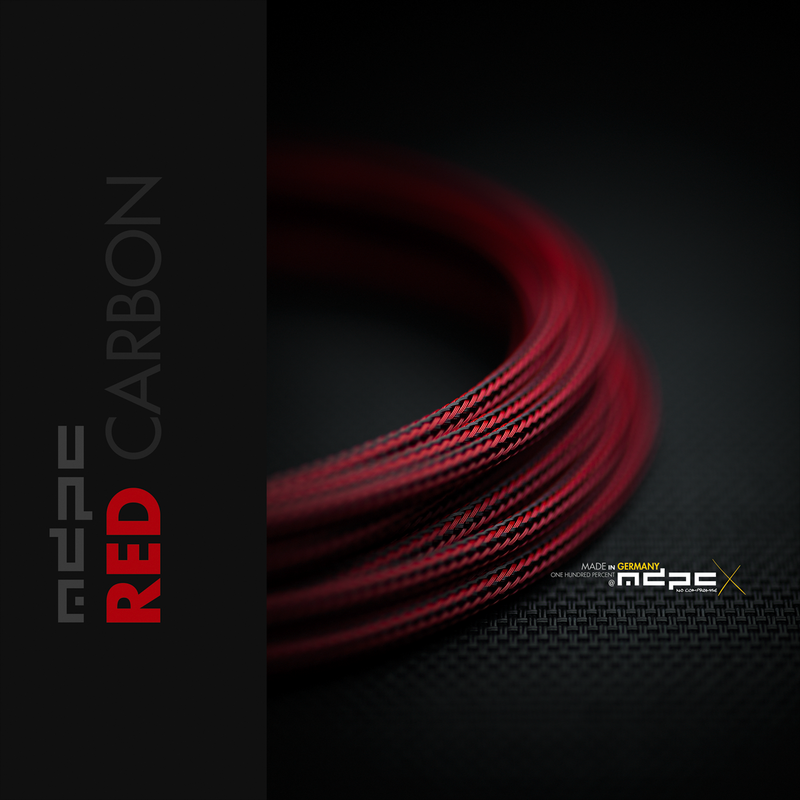 Red-Carbon is available as SMALL cable sleeves, XTC cable sleeves and as MEDIUM cable sleeves.